Psychology and sociology are both important fields for helping people. With effective listening skills, interpersonal communication skills, the right education, confidence, and approachability, entering into one of these two fields can be the start to a professionally rewarding and personally satisfying career. 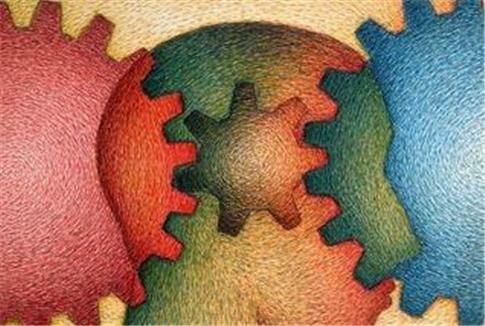 Psychology is focused on the study of various types of human behaviors and cognitive processes. Psychologists perform research and work with individuals to understand everything from thought processes to mental health disorders. Psychologists often choose paths in either research, to develop theories and identify treatments, or clinical psychology, working with individuals to address behaviors or disorders. Additional information on the field of psychology can be found at the American Psychological Association website. Sociology is focused on the study of society in general, including the history and development of societies, human relationships, and the study of organizations and institutions. Factors included in the study of sociology include family, religion, education, race, social class, and culture. Ultimately, sociologists look to find answers and solutions for various issues in social structures throughout society. Additional information on the field of sociology can be found at the American Sociological Association website. In a psychology degree program, students study a number of different areas. Common course work in a psychology degree includes cognitive psychology, social psychology, abnormal psychology, organizational psychology, gender and psychology, research methods, developmental psychology, and learning behaviors. Educational programs in psychology often include concentration courses in biopsychology, clinical psychology, social psychology, and cognitive psychology. These courses are also representative of different career specializations within the field. Core course work in sociology programs is likely to include classes in poverty and society, social structures, sociology in education, law and society, climates of social change, gender and race studies, juvenile delinquency, political sociology, and deviant behavior. In addition to the core course work completed in a sociology degree, students also have options for concentrations in a specific area. Common concentrations include health, criminology, and urban planning. Psychology professionals pursue many different types of career positions. With a background in psychology, career options include working in counseling in private practice, for health organizations, and with educational institutions. Most of these positions will require advanced degrees such as a master’s or doctorate along with additional certification and licensing. Additionally, psychology majors often pursue careers in advertising, marketing, human resources, and management. Sociology professionals also have a number of options for career opportunities. Common organizations that employ sociology professionals include community organizations, social services agencies, criminal justice organizations, research institutions, educational institutions, and private corporations. Positions include family planning organizer, housing coordinator, public aid worker, youth outreach worker, parole officer, corrections officer, juvenile court worker, urban planner, admissions counselor, and employee specialist. While the field of psychology and the field of sociology are similar in some of the areas of education and employment, understanding the differences between the two disciplines is helpful for choosing which field to pursue. With both psychology and sociology, future professionals have numerous and diverse opportunities to make a difference in the lives of people around the world.